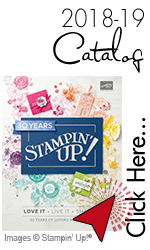 Bye Bye Birthday Fiesta, Stampin' Up! Hi stampers! Another of my favorite sets will be retiring very soon, so if you haven’t gotten your hands on it yet, time is tick, tick , ticking away! This card I wanted to show you an out of the box color combo that maybe you hadn’t thought of using. It is certainly more girly, but goes to show you can change almost any stamp set around to fit your needs! I made this card as a gate fold, which means I took a 4 1/4″ by 11″ piece of card stock, and scored it at 2 3/4″ on end of the 11″ side. Doing it this way will ensure a better and more even gate fold. Side note, you might need to trim just a hare from each it to make sure it doesn’t overlap, but that is personal preference. I then stamped all the images onto two 2 5/8″ by 4″ pieces of Whisper White to layer onto the front of the card. I added a sentiment to the inside and layered onto a piece of Perfect Plum. And finally stamped and cut out a cactus and the sentiment, layered them onto a piece of Perfect Plum, and trimmed to fit .